These kinds of stories are astonishing and heartwarming. A 50,000 pound humpback whale protected a marine biologist from a shark attack, pushing her out of the path of the shark and neutralizing the threat. Check out the incredible video below. The video was taken off of Muri Beach, Rarotonga in the Cook Islands. Biologist Nan Hauser says the humpback protected her and her team from a menacing tiger shark by pushing her under its fine and using his head to push her out of harm’s way. 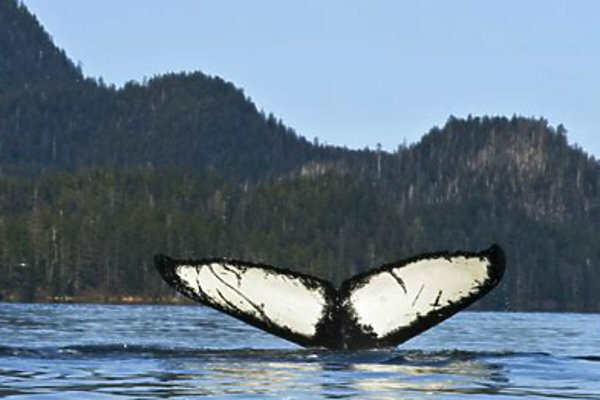 Nan said the October incident is proof of the humpback whale’s instincts to protect other species, including humans. She believes this has never been captured on film. A 15 foot tiger shark was circling the snorkeler and the 25 ton animal. The footage shows the diver being guided by the whale into one direction and Nan surfaces and tells her team there is shark close to them. The Mirror reported that Nan tells the team this information out of the shot of the camera and that another whale close by was using its tail to slap the water to distract and redirect the shark away from the group. 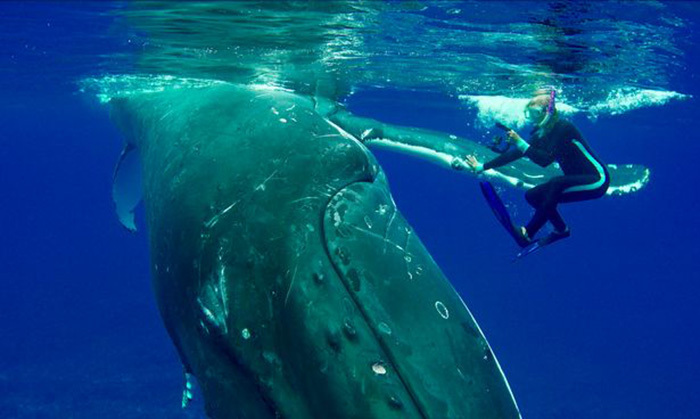 Initially the snorkeler presumed the shark was another whale coming to join the fun – it was only when she saw its tail moving left to right instead of up to down that she realized it was in fact a more menacing animal swimming towards her. The footage shows Nan being returned to safety and the whale can be seen above the water to check up on the situation. Scientists have seen these whales protecting other species but they will find this to be the first case caught on film where they have protected a human from a shark, according to Nan. What an amazing story! If only we knew what whales were saying when they make all those noises.